the3million can take UK Government to court over Home Office rules to restrict access to personal data. First success in our legal challenge to remove the immigration exemption from the Data Protection Act 2018 (GDPR). 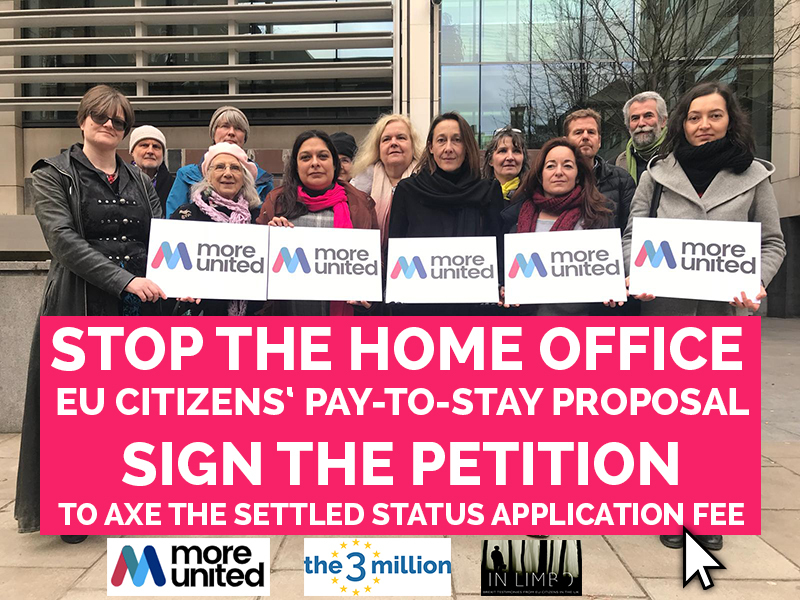 Today’s much-needed good news for EU citizens would not have happened without everyone who supported in 2018 our CrowdJustice fundraiser ‘Remove the immigration exemption from the Data Protection Bill’. This morning, the3million and the Open Rights Group, represented by Leigh Day, were at the High Court to challenge the Government over their immigration exemption to the Data Protection Act 2018 (GDPR). We are delighted to announce the judge accepted our argument and we have won the right to take the UK Government to court over the inclusion of a specific clause in the Data Protection Act 2018. This clause allows government bodies and other organisations to use people’s data without them being aware of it or having access to it if it is a matter of “effective immigration control”. Over three million EU citizens will need to apply for Settled Status between now and 2021. In the case of an appeal or a refusal, the Home Office could use the clause as a reason to deny access to data. Given the current 10% error rate for the registration of Permanent Residence by the Home Office, some might say this exemption would be used for a cover-up. It does not only go against the very purpose of the data protection act (which is meant to protect us from data abuse from those holding our data), but it also reinforces everyone’s suspicion that the Home Office has something to hide. If over three million EU citizens are going to apply for the Settled Status, they must be able to do so knowing it is safe. In 2019, there is no excuse for Government acting against transparency and today’s wonderful news means our legal challenge case is one step closer to removing the immigration exemption from the Data Protection Act. We are doing this for the sake of over three million EU citizens in the UK who deserve to be treated fairly, as well as all third-country nationals who fall under the same exemption. As always, the3million and the Open Rights Group need your support to carry out their mission. Please consider supporting financially the3million and the Open Rights Group for the essential work they are doing. Friday 18 January - UK front pages.